Roof rats are known by a variety of names such as the fruit rat, ship rat, citrus rat et cetera. They have a distinct appearance; usually black or dark brown with smooth fur, a very long tail, large eyes and ears and a pointy face. Roof rats are adept climbers and usually prefer to build their nests above ground. Outdoors, roof rats’ nests can be found in trees, dense vegetation and woodpiles. Indoors, they prefer to live in the upper levels of the building like the attic, ceiling, rafters and cabinets. Roof rats prefer a diet of fruits and nuts, however, like most rodents, they are omnivores and will eat almost anything when hungry. This could be meat, vegetables, tree bark, grains, insects and even pet foods. These pesky rodents are known to hoard food and stash it in their nesting places. They also prefer to nest in areas where they can easily get water to sustain them, even if it means chewing through water pipes. Roof rats need to be treated as vermin because they do carry and spread diseases. They transmit disease directly through contact. This happens when they contaminate food with their feces. They can also transmit diseases indirectly when fleas bite a diseased rat and then bite a pet or a person. It is a known historical fact that the bubonic plague was transmitted to humans from rat fleas. This was the cause of the Black Death in Europe, a devastating pandemic in the history of mankind. 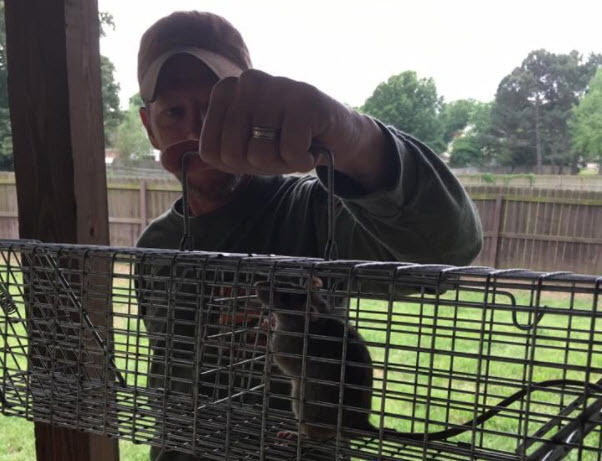 Roof rats can also bite people and pets thus transmitting the rat bite fever through a bacteria strain found in their mouths. There are various ways to get rid of roof rats depending on how severe the infestation is. In the most severe cases, professional exterminators may be called to access the situation and deal with the infestation. However, it is possible to contain the population of roof rats and even keep them out of the house entirely. Here are some simple ways to keep these pests away. Make use of professional rodent exterminator services to lure them to snap trap or glue traps. Sanitation – this is the single most important prevention and control measure to combat a rat infestation. Store food in tightly sealed containers, empty garbage bins frequently, declutter the garage, attic and other areas where roof rats could nest and clear vegetation around the home. Exclusion – prevent roof rats from entering the home by trimming tree branches, caulk holes and crevices, screen air vents and make sure doors and windows fit properly in their frames. Starve them out – pick up any fruits that drop to ensure the rats don’t get any food or water, don’t leave pet food out at night, keep garbage containers tightly covered and limit the use of bird feeders.